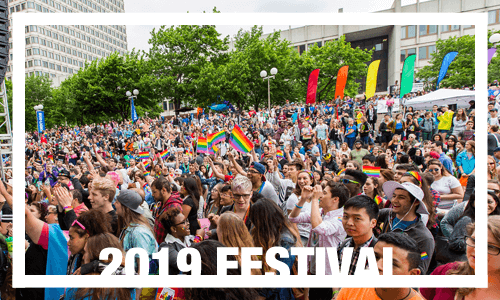 Home/Pride Events, Pride News/2019 Parade and Festival registration now open! Registration for the 2019 Boston Pride Parade is now open! Register early for the best pricing. With over 55,000 marchers and 750,000 live spectators in 2018, plus broadcasting on local media channels, joining the Boston Pride Parade is sure to bring visibility to your organization and signal the work you do for equality. The Parade will be held on Saturday, June 8. 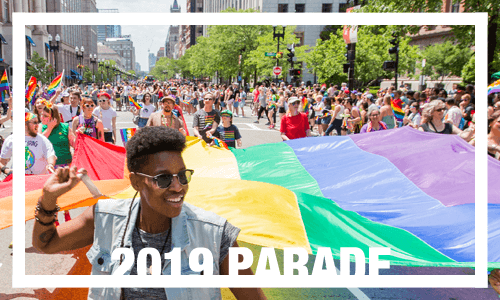 Click here to register now for the 2019 Boston Pride Parade! Registration for the 2019 Boston Pride Festival is now open! Register early for the best pricing. Each year the Boston Pride Festival sees over 125,000 visitors and 100+ exhibitors. Whether you are a small non-profit just getting started, a small business selling rainbow merchandise, or a long-standing organization in the LGBTQ community, becoming an exhibitor is a sure way to reach your target audience. The Festival will be held on Saturday, June 8. Click here to register now for the 2019 Boston Pride Festival!